2old2play has a nice article up about strategy guides, and how they’ve made games harder. Yep, you read that right. Read on to see what he means. Myself, though, I go about it differently. I seldom use a strategy guide or an FAQ unless I am ABSOLUTELY stuck and have exhausted my brain trying to find a solution. For me, the biggest draw of a strategy guide is often the art and the extra bits that might enhance the game. An interview with the developer, a history of the series, things of that nature. I think back to the earliest dedicated strategy guides I’ve ever gotten. In its early days, Nintendo Power featured a bonus Super Mario Bros. 2 pull-out strategy guide. I couldn’t wait for that issue to arrive, and I was checking the mailbox daily that summer. To be honest, I don’t even remember if I’d beaten the game yet by that point or not. But I was eager to get it just the same, as it contained plenty of new, original art of the various Super Mario 2 cast. Maps and stuff were nice, it was the other stuff that I loved. Of course, I was a budding artist at the time, and I remember using the guides to help me perfect my Mario and friends, so that no doubt had an impact on me at the time as well. Unlike most other guides at the time, things like Jeff Rovin’s “How To Win At Nintendo Games” series, with nothing but text and maybe the occassional grainy black-and-white screenshot, these really drew you in. They also had a nice Ninja Gaiden II: The Dark Sword of Chaos guide that featured a cool painted comic inside, and I think a guide for Final Fantasy and another for 4-player sports games. 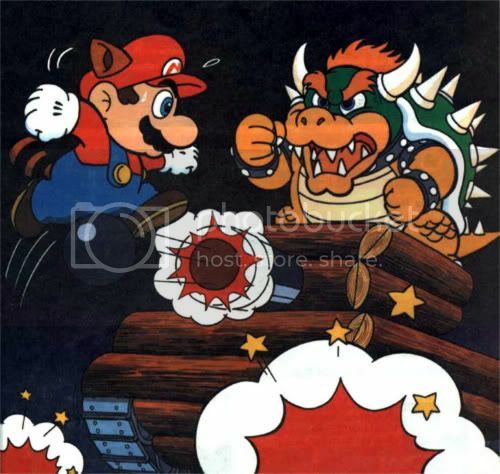 The biggest flaws of these strategy guides, though, was that they’d stop just shy of the end, so you’d have to fight Bowser of Jaquio on your own, without any clue in the world from anything but the game itself. Sure, Bowser was obvious, but as is the tradition of any game that bears the title “Ninja Gaiden,” Jaquio was simply brutal. The earliest I remember of the guides as we know them today come from when Nintendo Power made a new offer to subscribers to receive four free “Player’s Guides,” featuring an NES Game Atlas, a Game Boy guide, Mario Mania, and a Super NES guide. Let me tell you, I really had to twist my parents’ arms on those. They wouldn’t let me get a Game Boy(said it’d ruin my eyes), so they saw that one as useless, and since I didn’t have a Super NES(yet another battle), that one seemed pointless to them as well. And since Mario Mania was one-half history of Mario, one-half Super Mario World guide… well, that wasn’t easy as well. Like before, though, checking out games I didn’t own was appealing to me, especially if it was on a system I didn’t own. So admiring the art of Mario hurling a Superball or flying the Sky-Pop, or checking out the then-awe-inspiring graphics of Actraiser and Final Fight thought the guides’ screenshots made for a good enough “second place” to owning the systems for me. My Mario Mania guide has of course seen plenty of wear and tear over the years, but has held up remarkably well. And I like to think it was that guide which saw the setting of a standard in guides that has since fallen, even by Nintendo themselves. One of their follow-up guides remains a favorite to this day, that being the Legend of Zelda: A Link To The Past Player’s Guide. This guide not only got you through the game, but it did so in a unique way. It presented itself as a historical account of Link’s battle, and also served to fit in a lot of interesting bits about Hyrule’s history, people, society, and legends. It helped to literally turn the setting from a game into a world all its own. Sadly, most guides today aren’t anywhere near that in-depth or interesting anymore. Sometimes you’re lucky to get any art. Most seem to hold your hand through the game, without really adding anything more to it, and that’s a shame. Much like instruction booklets, it seems that fewer and fewer guides have that extra “oomph.” If more guides offered more content, I’d probably consider buying more of them, even at the absurd $20+ price tag I have to face around here. I hate games like Zelda and its ilk that are too difficult to beat without a guide. I think games should be able to be enjoyed as they are and there should be depth and strategy but the gameplay should be inviting and consistently stimulating and shouldn’t be a mystery. And you shouldn’t need to view an outside source to understand what you are supposed to do in a mission or how leveling up works. I believe it depends. Zelda II and A Link To The Past, I don’t really need guides for, nor did I before, but at the same time, maybe Ocarina of Time or Link’s Awakening are a bit trickier there. And of course, 4 Swords Adventures I did on my own as well. Yea I meant Ocarina of Time, Majora’s Mask, Ico, and etc. The 2D ones were good in that regard.